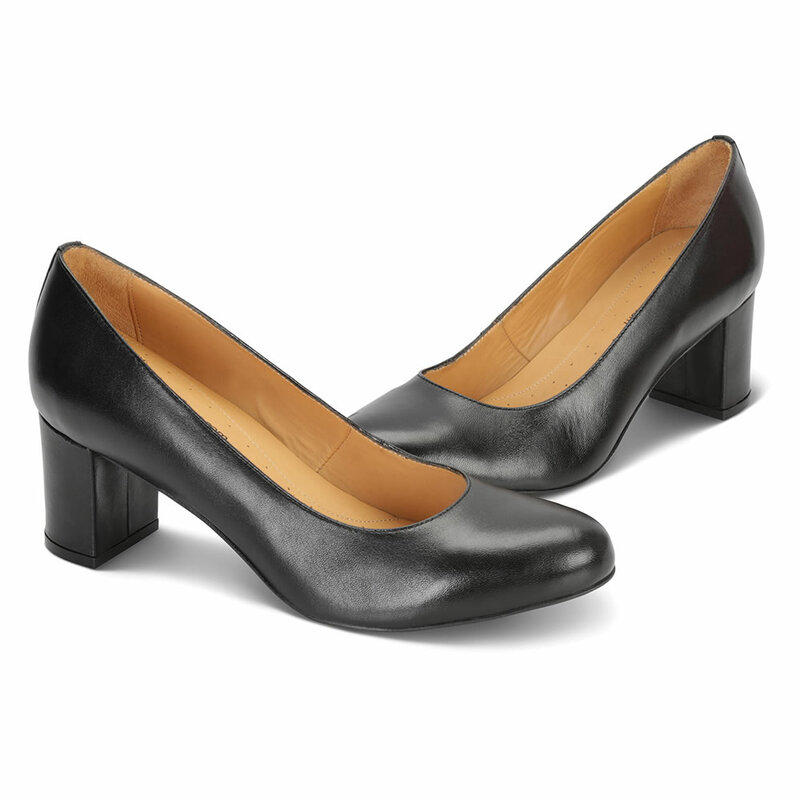 These are the comfort shoes worn by flight attendants who routinely spend hours a day on their feet. 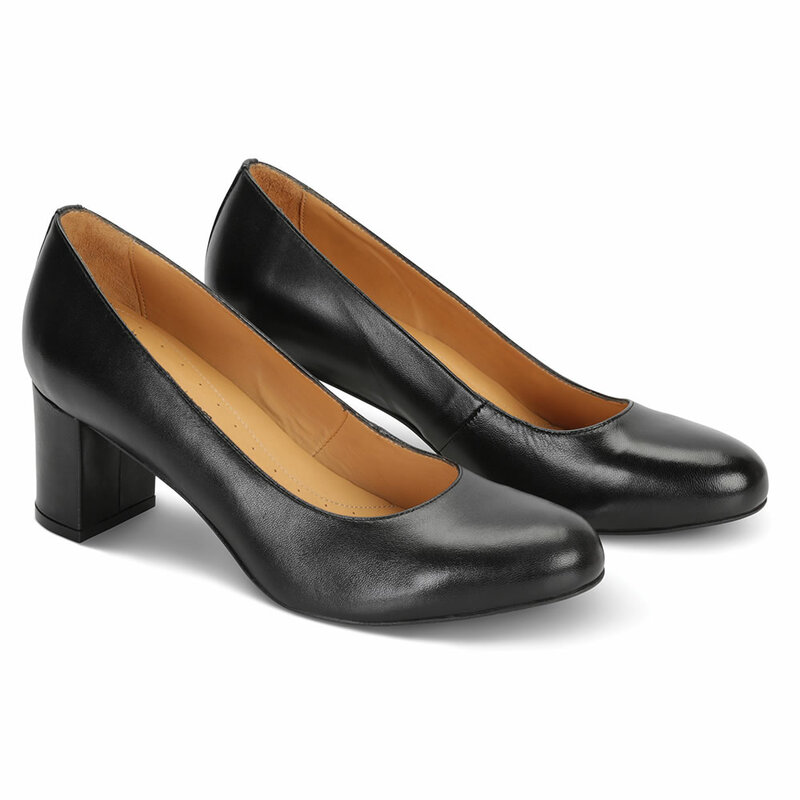 The shoes have shock-absorbing gel in the heels and anatomically correct cushioned footbeds that retain their shape even after hours of wear. 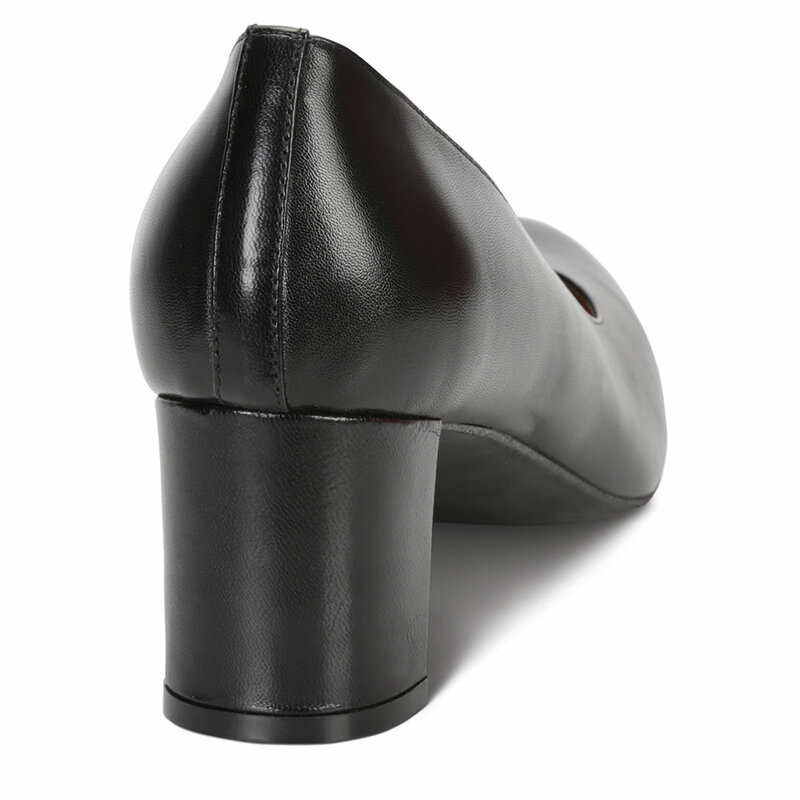 The polyurethane open-cell foam insoles help keep feet dry and cool via air circulation, can be removed for machine washing, and are treated to be fungus-, bacteria-, and odor-resistant. 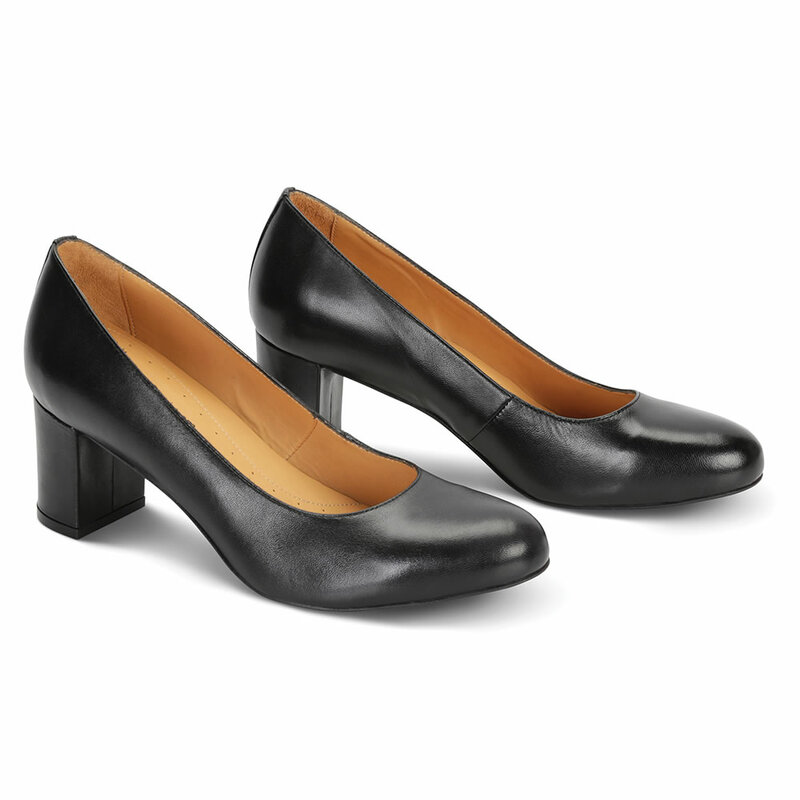 With leather uppers, a 2 1/2" heel, and slip-resistant outersole. Imported. Black. Women’s sizes 6, 7, 8, 8 1/2, 9, 10, and 11. 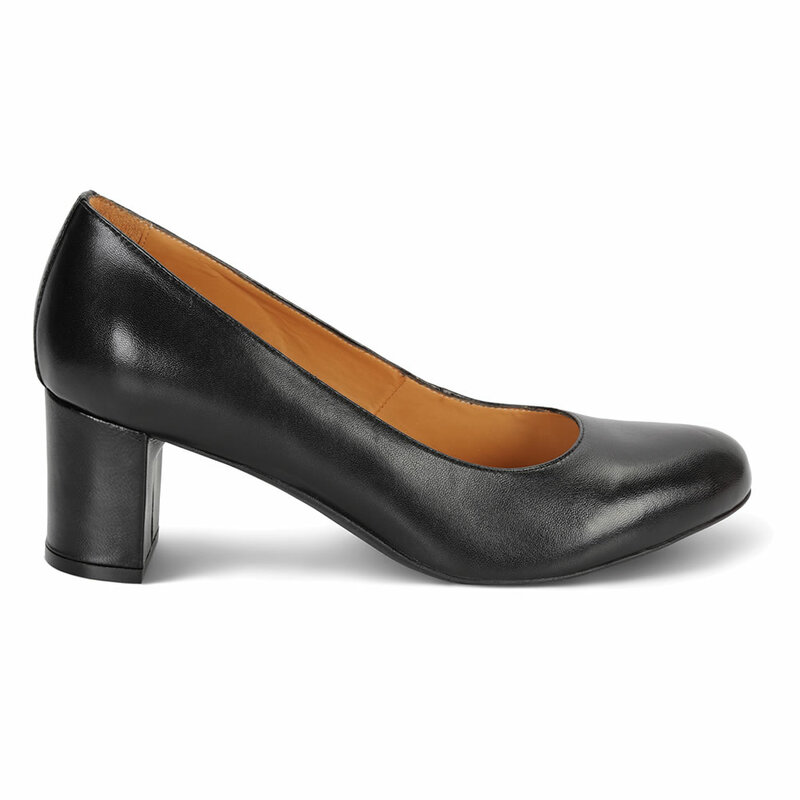 The Flight Attendant's Comfort Shoes come with The Hammacher Schlemmer Lifetime Guarantee. Items that we sell are guaranteed for their normal life under standard non-commercial use.